Have you visited the Patreon page? Patrons get access to patron-only posts, monthly updates, meta-game and behind the scenes content. They can listen to the unedited podcasts, featuring meta-game discussions, fart noises, and more. Patrons can also get unique fully detailed characters, a special Patron-only podcast featuring various gaming systems, and a play kit featuring additional factions, groups, characters, magic items, home-brew subclasses, races, and setting information. 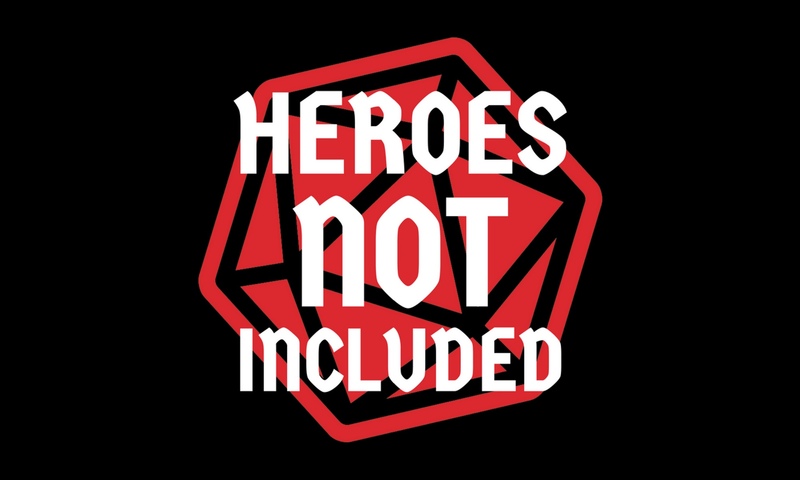 Heroes Not Included was excited to participate in the fantastic Podcasts of Foes event from Wizards of the Coast. We produced a special episode, featuring our Season 4 cast, that debuted on 10 May 2018 on Wizards’ Dungeon Delve podcast feed. This special one-shot episode, wherein the cast take on some of the most dangerous foes in the Mordenkainen’s Tome of Foes book can be found here.